Recently EPFO has launched Composite Claim Form for EPF withdrawal in death cases. The new composite claim form for the death cases is a replacement of Form 20, Form 5-IF and Form 10D. In last week EPFO has launched EPF composite claim from for all type of EPF withdrawals with or without signature. 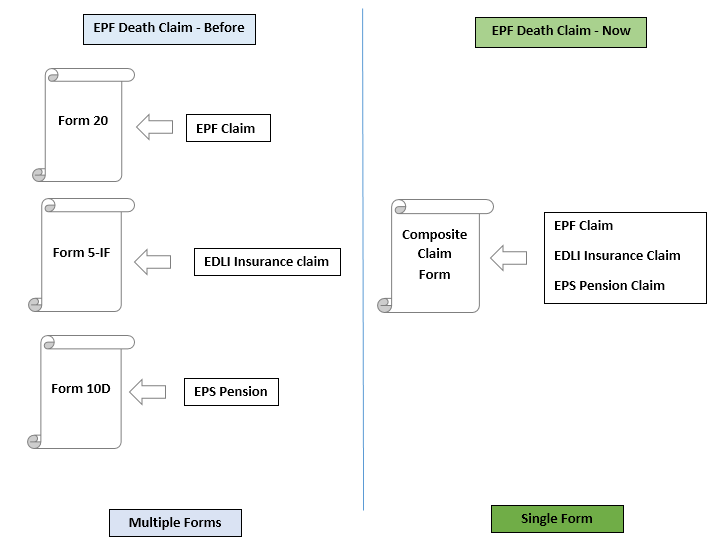 (Refer – New Single composite claim Form for EPF Withdrawal) However, there was confusion about usage of composite claim form for the death cases. Now, this confusion is removed. A New composite claim form is issued for EPF withdrawal in the death cases. 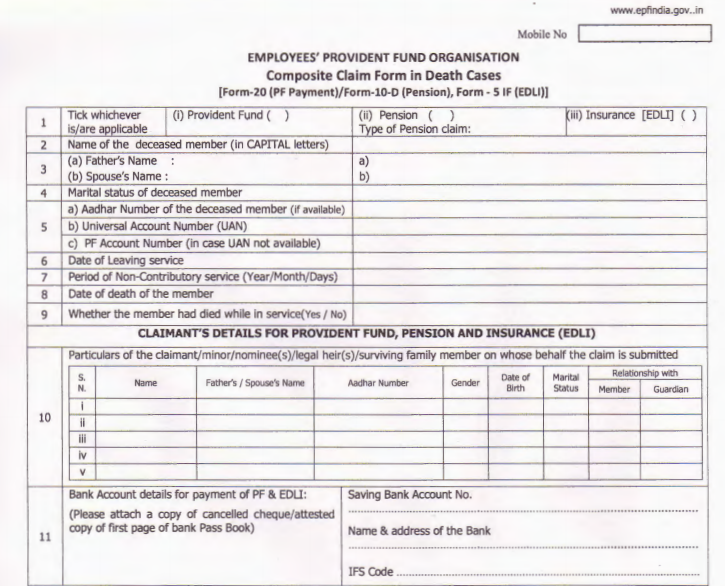 A nominee or legal heir of the deceased member can withdraw EPF, insurance claim and pension using this form. This will simplify a current process of EPF withdrawal. The screenshot of Composite Claim Form applicable in death case for EPF withdrawal is given below. A nominee or legal heir of deceased member has to provide following mandatory detail in the form. In the earlier process, a legal nominee or legal heir need to submit three different forms for EPF withdrawal, EDLI Insurance and for EPS for Pension. 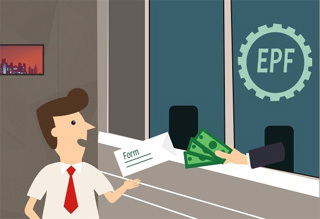 Form 20 was used by legal heir or nominee in order to claim EPF withdrawal in deceased case. Similarly, Form 5 -IF and 10D was used for EDLI Insurance claim and pension. The respective form was filled and submitted to EFPO for settlement. Now entire process is simplified. One single form is required for all three purpose. You need to select the purpose and submit composite claim form to EPFO for settlement. Documents required while submitting this form are as below. This form can be used by both UAN and Non-UAN based employees EPF accounts. This form can be used although Aadhaar number of the subscriber is not defined in the system.